The National Gas Company, Compressed Natural Gas (NGC CNG) Company has a budget of $321 million and it intends to spend that on installing infrastructure and providing incentives which would encourage drivers to convert their gasoline and diesel vehicles to CNG. According to NGC CNG president Curtis Mohammed, the company’s aim is to have 30 CNG supply points in the next two years. At the moment, there are already 12 – ten at various National Petroleum (NP) and Unipet gas stations, and two full, private CNG stations at the NGC Warehouse in Point Lisas, and the NP Temporary PTSC Station in Port-of-Spain. 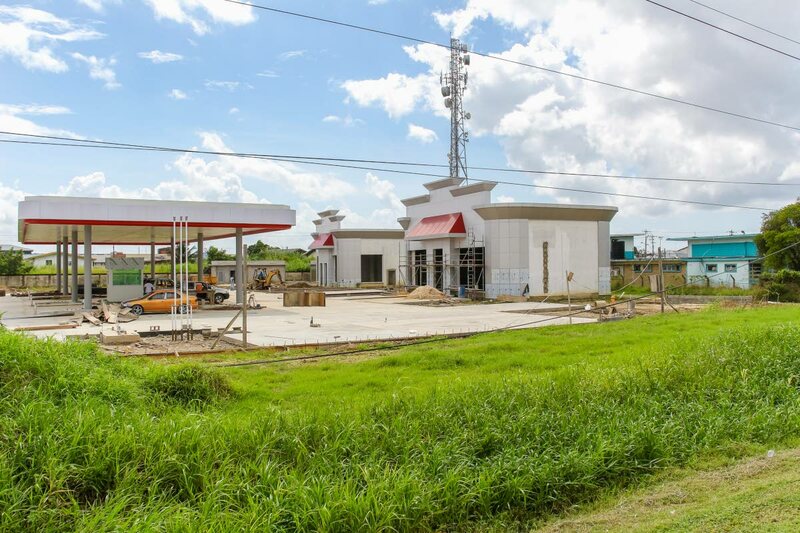 Soon, five more multi-fuel stations are expected to be opened, the first of which is NP Chaguanas. Still under construction is NP O’Meara, NP Munroe Rd, NP Cyrus Rd in El Socorro, and Unipet Harkness in Mc Bean, Couva. Based on NGC CNG’s records, 1,764 CNG vehicles, new and converted, were added to the local market since January 2015. Mohammed said there has been about a 20 per cent year-on-year increase in CNG sales and, with the 2017 budget and the decrease in fuel subsidies, NGC has seen a renewed interest in CNG and an increased demand for the conversion of gas or diesel engines to CNG. So much so that the country’s three licensed converters were over-booked. With the conversion of a gasoline engine costing around $12,000, Mohammed said paying the price of the conversion would be “a hard sell” to the average driver simply because their mileage was much lower than a hired or company vehicle. The company is therefore focussing on the market segments that are high fuel consumers and who are “more savvy” when it comes to saving money. Currently the conversion incentives are mostly for taxis and maxi taxis, school buses, light, heavy and extra heavy duty commercial trucks, and employees of State enterprises. Models available in the country include Honda City sedan, Joylong 18-seater maxi, Freightliner heavy duty truck, Golden Dragon 21-seater maxi, Jin Bei 15-seater maxi, Yutong 25-seater maxi, Riyiue 18-seater maxi, and the Isuzu heavy duty truck. He noted that the company that sold the Honda City made the brand decision to stop bringing in gasoline version of the cars and switched to CNG. Now, he said the Honda City was one of the fastest selling cars in TT. However, he said there were dozens of brands available internationally, but local brand owners were not bringing them in. He said with the national roll out of CNG and the current concessions available, the vehicles were very affordable, so it was up to the vehicle companies to do their part and give consumers more options. Mohammed said CNG has been in the country since 1985, and the first converted vehicle was that of the late Prime Minister George Chambers. He said although CNG had been around that long it was only in 2014, when the company was started, that more people started thinking about alternative energy. One of the solutions, he said, was using fuel that was less subsidised – CNG. Therefore, he said, in 2009, the government decided to study alternative fuel and put together a plan to deal with the situation. In 2013, NGC was given instructions to set up a company to make it happen. He said NGC decided to make it a private/public participative model which has been well supported by the government. Since 2010, Government has provided several incentives encouraging drivers to switch to CNG. These include the removal of Motor Vehicle Tax and VAT on imported new and used (less than two years old) OEM natural gas vehicles; the removal of duty on components for the retrofit of vehicles to use CNG; a 25 per cent tax credit for conversion up to $2,500 per vehicle for non-business customers; and a capital uplift of 130 per cent for wear and tear allowance for businesses. “To reach our goals we can’t just build stations and expect it to sell so we are also creating customers,” Mohammed said. Original Equipment Manufacturer (OEM) Maxi Grant – This cash grant of $75,000 for a large maxi or $45,000 for a small maxi is for owners who agree to destroy their existing diesel powered vehicle and replace it with a CNG model. Maxi Conversion Grant – This cash grant of $30,000 for a large maxi or $20,000 for a small maxi is for owners who convert their maxis that are less than four years old. The grant will go towards the cost of the conversion. Maxi Conversion Incentive – This fuel incentive of $30,000 for a large maxi or $20,000 for a small maxi in free CNG is for owners who convert their maxis that are older than four years. This fuel incentive will be administered in the form of a fuel card to be used at the pump to pay for CNG. Taxi Incentive – This fuel incentive of $5,000 in free CNG is for those registered taxi owners who convert their vehicle to CNG. This fuel incentive will be administered in the form of a fuel card to be used at the pump to pay for CNG. School Buses – Members of the Private School Transport Association of Trinidad and Tobago will receive a $15,000 fuel card for the purchase of CNG if they buy an OEM CNG Omnibus. Those members who convert their existing CNG Omnibus will receive a $7,500 CNG fuel card. Although the NGC CNG incentive programme does not yet directly target the average driver, environmentally and financially conscious people can get involved through the purchase of a new CNG vehicle. Reply to "Renewed interest in CNG"